You are here: Home / Guitar Effect / How To Use A Distortion Pedal Without Any Affliction? If you love music, certainly you will have the interest to work with the rhythm. Distortion is absolutely a necessity in heavy metal music rhythm while playing. Learning how to use a guitar pedal tells you many ways how you have to connect and get to play all the controls. You will find much prettier ways on how to use a distortion pedal without much difficulty. 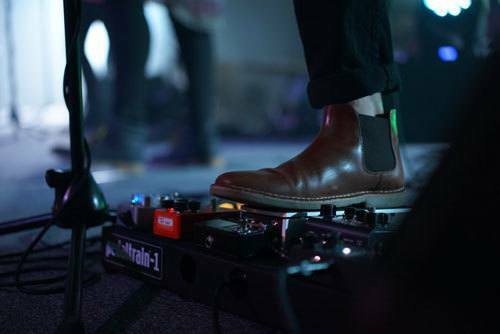 Guitar pedals sometimes effect like stomp boxes, made up of complex electronic circuits to distort the guitar sounds in an unusual way, but matching to the situation of the music concert. Also, by using guitar pedals you can generate interesting special effect sounds such as distortion, flanger, tremolo, wah-wah, delay and fuzz. The vast growth of guitar players depended mostly on distortion and great outcome as a staple of their playing tune and style to captivate the attention of the audience. 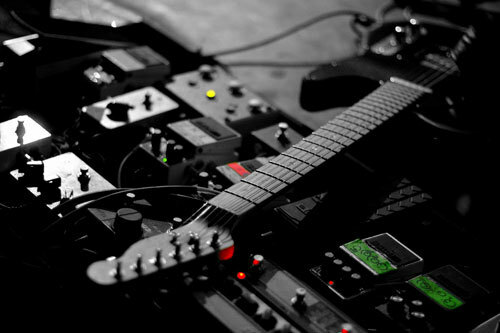 Let us find read further how to use a distortion pedal and its effectiveness in a music concert. ​Why Do You Want To Use It? Distortion and its benefits are more restricted today; it means that guitar players should have a wider range of tones and more hotshot skills. Distortion pedal takes off from where overdrive pedal leaves their job. The distortion pedal adds more girth and voracity to the tone and gives more flexibility and boost the sound effect. In another word, the best distortion pedal settings are little more ingenious and vibrant. 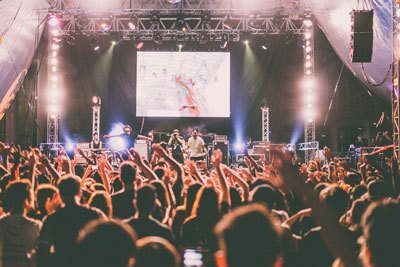 If you know the best way of using the distortion pedal, suitable for your music concert, that would be a rich accomplishment to get you fame and recognition. Good distortion pedals offer robust circuitry that creates multi-stage distortion. Therefore, if you would like to use the pedal and experience the musical experience, then this tutorial would help you a lot. How To Use A Distortion Pedal And How Can You Set It? Counteract the intensity of the song by using the gain. You can create lean setting towards the low end. The distorted tone must sound heavy and the end must be low. Add a clear definition for the delay. 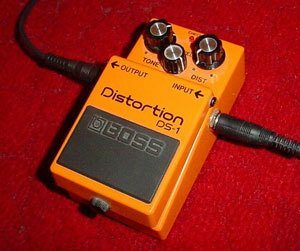 Keep multiple levels of distortion by using different distortion pedals. Use distortions intelligently. Avoid during low choruses and use it during high pitch choruses. When you come to the point of a song, there is no particular rule as such. Use your gain to counteract the song intensity towards the end of the song. So if you have a song with heavy beats, try to avoid heavy distortion. Otherwise, it will sound muddy. Do not use coupling distortion with multiple effects. For better coupling effect, use low-level gain. Stick to genre-friendly parameters while selecting the gain level. Do not dial high-pitch tone on your distortion pedal. You can consider using amplifiers equalizer. It is better to place the distortion pedal before the volume pedal or the wah pedal and at the last stage of your effects chain. It is not that important how much gain you use; a distorted tone should have a dense quality pitch to it. It should sound heavy with more low and opposed to high. It is good to have a variety of sound when you are about to adjust the gain and volume to your distortion. You can have more distortion levels and can use in different music of your choice in a better way. Suppose you might need soft and melodious distortion during a verse and heavy for the chorus. You can keep the two distortion pedals on your pedal board. You have two pedals, with one with high gain and the other with low gain settings. Nevertheless, there is no such rule that you cannot use two different distortion pedals to make your work completed. It is just one of the simplest ways to adjust your distortion tone by using the volume knob on your guitar or a volume pedal placed at the end of your effects chain. To work it out, kick on your distortion with the pedal volume to its maximum and trim the volume about three-quarters. Your distortion will be more superb and rhythmic since the gain is three-quarter less. I hope this tutorial on how to use a distortion pedal would have helped you to find better ways to use the distortion pedals and assist you to become one of the pop stars in a world of musical scenario. There is no hard and fast rule in music. You can have a lot of experiments and keep adding different set of distortion methods, suitable for the music and rhythm. 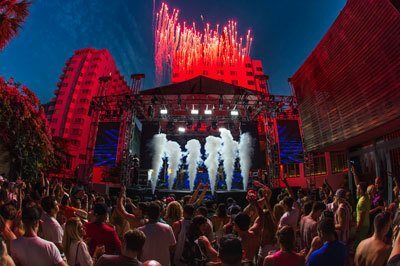 However, it is important to know, how to produce the best-distorted effect in the required level and what is the best tone suitable for the music with distortion, if at all required. I wish you a happy run with your musical thirst. If you are a beginner, you will learn a lot through your experience with various modulations! Let us have your feedbacks and comments.